Andrew Campbell was appointed by Foreign Minister Julie Bishop to the position of Chief Executive Officer of the Australian Centre for International Agricultural Research (ACIAR) in Canberra from 1 August 2016. He was previously the Director of the Research Institute for the Environment and Livelihoods (RIEL) and Director of the Centre for Renewable Energy at Charles Darwin University from 2011-16. Andrew Campbell has played influential roles in sustainable agriculture and natural resource management in Australia for 30 years. He has considerable research leadership experience, notably as Executive Director of Land & Water Australia from 2000-2006 and Managing Director of Triple Helix Consulting from 2007-10. He has also had senior policy roles in land, water and biodiversity management as a senior executive in the Australian Government environment portfolio. Andrew was instrumental in the development of Landcare, working with the National Farmers' Federation and the Australian Conservation Foundation to develop the proposal that catalysed the Decade of Landcare. He was Australia's first National Landcare Facilitator, and he pioneered the concept of Whole Farm Planning as Manager of the privately-funded Potter Farmland Plan initiative in western Victoria in the 1980s. 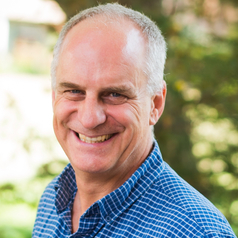 Andrew Campbell is a Visiting Fellow at the Fenner School of Environment and Society at the Australian National University (ANU), and a Fellow of the Australian Institute of Company Directors. Andrew maintains an involvement in his family farm in western Victoria, where his family have been farming since the 1860s.